Astronomers have created the largest scale rendering of dark matter across the universe, revealing a picture of the invisible stuff thought to represent 98 percent of all matter in the universe. 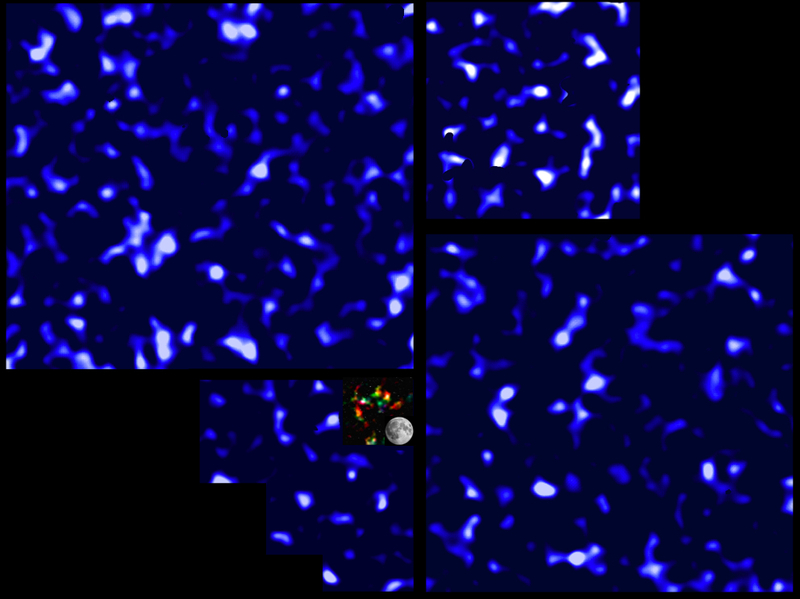 Dark matter has never been directly detected, but its presence is felt through its gravitational pull on normal matter. Astronomers suspect dark matter is made of some exotic particle that doesn’t interact with regular atoms. To create the map, the astronomers used data collected by the Canada-France-Hawaii Telescope in Hawaii during a five-year project called the Canada-France-Hawaii Telescope Lensing Survey. The new map reveals the distribution of Dark Matter over a larger swath of space than ever before. It covers more than 1 billion light-years. One light-year is the distance light travels in a year, about 6 trillion miles (10 trillion kilometers).To trace invisible dark matter, the astronomers searched for signs of its gravitational tug on other matter. They measured an effect called gravitational lensing, which occurs when gravity from a massive body bends space-time, causing light to travel along a curved path through space and appear distorted when it reaches Earth. They measured warped light from 10 million distant galaxies in four different regions of the sky, caused when those galaxies‘ light passed by large bundles of Dark Matter that bent its path. This new maps represent the first direct evidence of Dark Matter on such large scales. Astronomers hope that by plotting out the distribution of dark matter throughout space, they will come closer to understanding what it is.